Last year Joanna had a great career, was an avid tennis player and dog lover, she was loving life and sharing laughs with friends and family, she had a successful career in Marketing and was making big plans for her future. 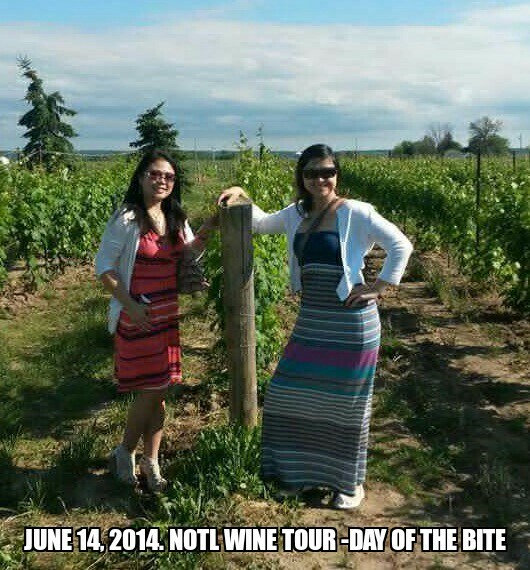 All that changed last summer when after going on a wine tour in Niagara-on-the-Lake she was bitten by a tick. At the time, she assumed it was a mosquito bite and that the black dot on her back was just a pinprick-sized blood blister. She also got a bulls-eye pattern around it, as well as a rash soon after, however; since Joanna did not know about ticks or Lyme disease she did not make the connection. When the rash persisted for several weeks, she did go to her doctor and was tested for West Nile, but never Lyme (if she had been diagnosed and received the treatment that soon after the bite, she likely would have made a full recovery). A few months later, Joanna began experiencing severe fatigue and weakness, joint and muscle pain, insomnia, dizziness, headaches, hallucinations, ear and eye pain, a rapidly deteriorating memory, and other debilitating symptoms. It got to a point where she wasn’t able to concentrate for any length of time, so she had to stop working. Like many chronic Lyme disease patients, as her symptoms mounted, the Emergency Room became a second home. A multitude of tests showed no signs of anything being wrong. She was referred to specialist after specialist, until she eventually had consulted over 15 of them (all at major Toronto hospitals) and each of their tests (vitals, chemistry, enzyme, urine, hormones, nerves, neurology, etc. ), showed no sign of an issue. Actually, she was told she was a hypochondriac, or had depression (which Joanna has never had in her life). At this point Joanna was pretty much bedridden; she no longer dared get behind the wheel of a car, and had to rely on friends and family to take her to the numerous doctors’ appointments because she would become paralyzed at random times. The different symptoms every day caused panic; her anxiety was a hundredfold and eventually, she could no longer leave her house alone. Things only worsened as her symptoms progressed over the next 5 months; she started to rely on her family increasingly to do the simplest things. Despite all of this Joanna never gave up, she was determined to find an explanation for her deteriorating health. It took almost 6 months before Joanna found a world-renowned doctor who listened to all her symptoms and resolved to figure out what was going on. Through his diligence and determination (he spent time listening and charting out all of her symptoms and asked the one question no other doctor had asked so far, “where have you travelled and spent your leisure time recently”), Joanna finally learned what was plaguing her: she tested positive for Lyme disease. Because she went undiagnosed for so long, her condition is considered late-stage Lyme disease and had for some time severely suppressed her immune system. Now the real difficult part came, she had a diagnosis; however, once the initial 30 days of antibiotics were completed and she was not better, the doctor advised that he was unable to treat her any longer. (Unfortunately, the CDC guidelines provide only one month of medications; however, some patients, especially those who don’t receive a diagnosis for months, require months or years of treatment for any sign of recovery). Regrettably, more than 40% of Lyme patients end up with long term health problems (chronic issues) and Joanna is one of those. 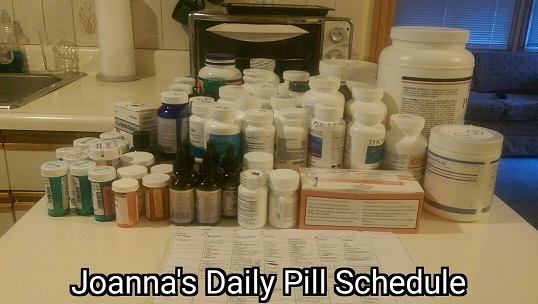 After the 30 days of medications offered to Ontario residents by OHIP, Joanna started an extensive medical treatment protocol for her advanced chronic Lyme disease by consulting with a Lyme expert found on www.ilads.org. Thank you Travel Mammal for helping to spread the word about Lyme Disease! The story can be found here. We would like to express our deepest gratitude for your support & any donation you can provide. This is a true story and should be read by everyone!!!! !don’t give up cuz!! Joanna. You are such a beautiful person inside and out and you don’t deserve what you have been through. My own story mirrors your own and thus, I empathize with your suffering and your need for support. To those reading, please do consider supporting her through these challenging times.